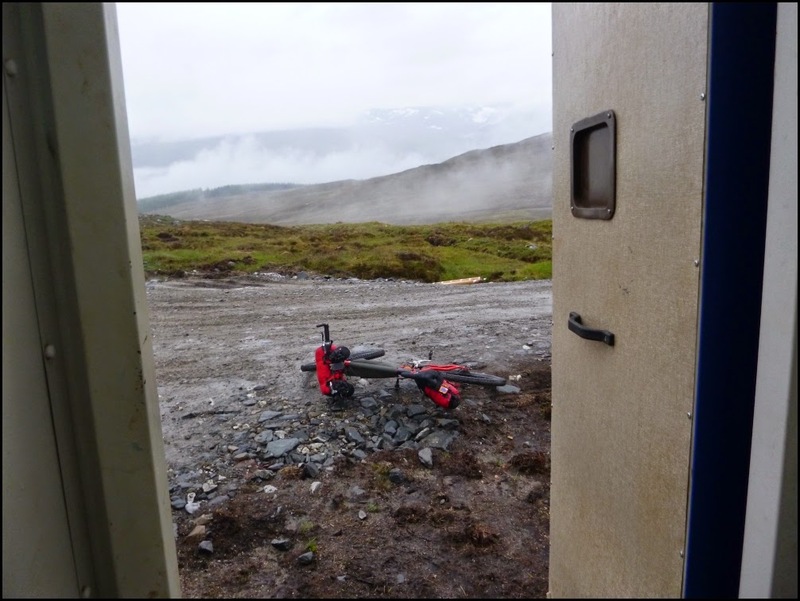 Sometimes Rides Bikes: Highland Trail 550 Race Day 2. Overnight another rider joined us in the early hours. Markus must have had a tough first day. Though in spite of comparatively little sleep to the rest of us, he was in good humour when we all got up at 6 am. I wouldn't have been. I was ready to go first, but knew there was little point getting to Fort Augustus before 9 if I wanted some hot food. So I wasted some time watching the rain falling outside and chatting with the others. I did set off first though. On the Corrieyairack there is currently a load of work going on putting up electricity pylons. Not far from the track I could see what looked like a heavyweight portaloo. I enquired further as the morning's toilet visit had yet to be done. Excellent, the door was unlocked, there was toilet paper, and some handwash 1500 ft up a Highland Pass. A poo with a view. Once over the top of the pass I blasted down the other side. I was definitely somewhat chilled by the time I rolled up to the Cafe at 9:05. A couple of pints of tea, a breakfast, a bacon roll, and a couple of pieces of cake, and I was back up to temperature though. Alan (P), Bryan, and Mike joined me in the cafe. Alan had crashed coming down the pass, and the other two had escorted him down. Alan was out, and the mood was low. Mike and I set off again into the rain. Mike and I grab a coke. As the day went on I left Mike and caught Andy and Markus. I spent some time riding with both. Markus rides the beach in the mist. 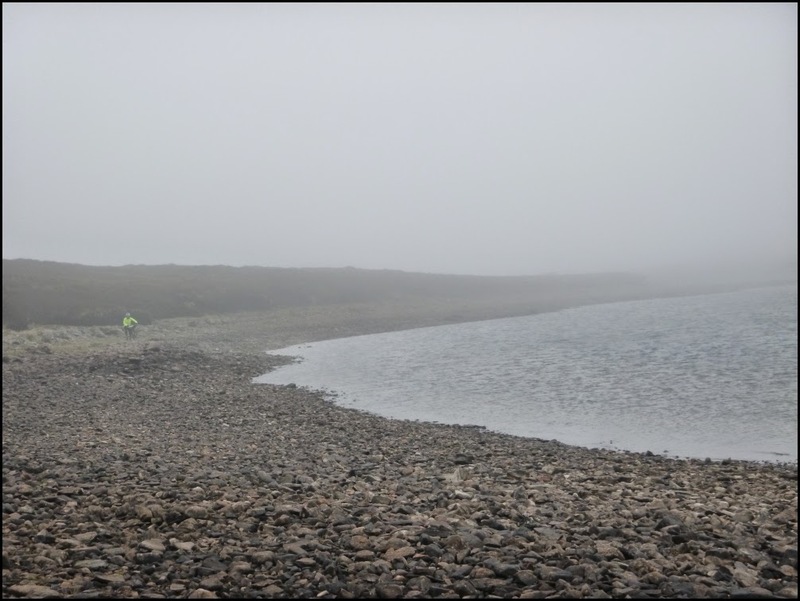 It was cold, and wet. 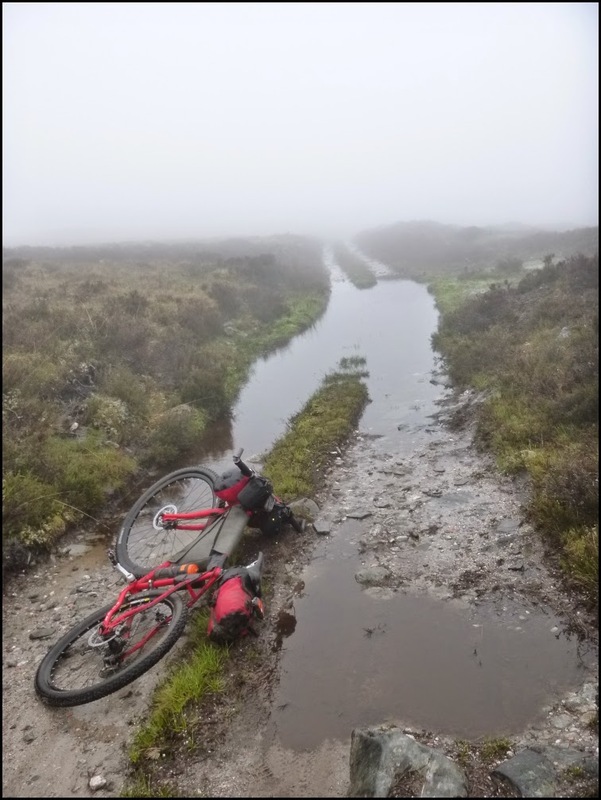 There were massive puddles to chance riding through, or, as I opted for, to walk around. I arrived at Stratconnon and even before I'd dragged my bike over the locked gate I realised I was spent. I met Andy by the gate, he'd crashed and broken a brake lever. He was heading home. I rode on. 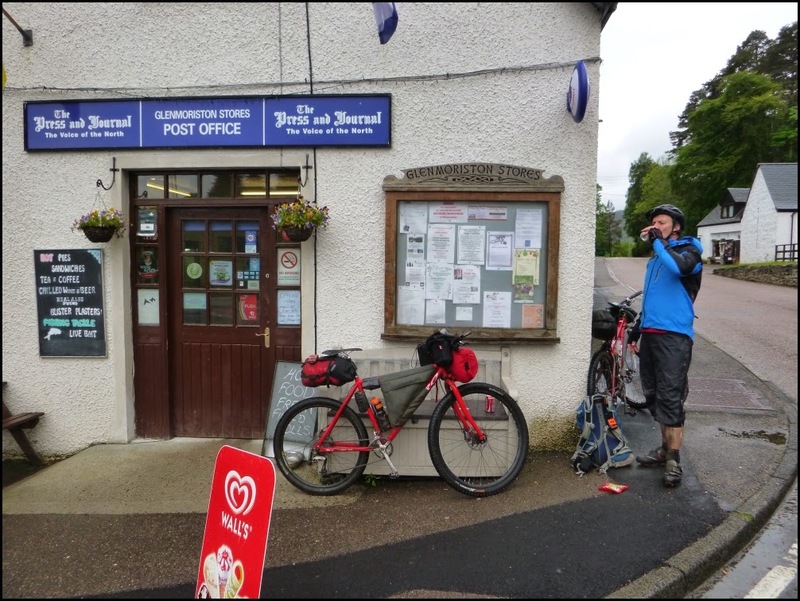 The last shop I knew of, for over 100 miles that I needed to resupply at in Contin had shut by the time I got there. I could probably have eeked out the food I had, but I wanted hot food. I left the route and rode to Strathpeffer. All the restaurants appeared shut. If I wasn't going to get a hot meal, I was going to have a warm bed. I found a B+B and booked in. They said a hotel nearby would do bar meals, so a double win, I headed out for hot food too. After food and a few beers all was good once again. I knew I could get food from the shop first thing tomorrow here, and I'd head back North again. Whilst phoning my wife oustide the hotel, I spied Markus. He'd had a tough day too. He joined me for supper, and found himself a bed in town also. Only 73 miles today, but that would have to do. I hope tomorrow the rain would have passed.